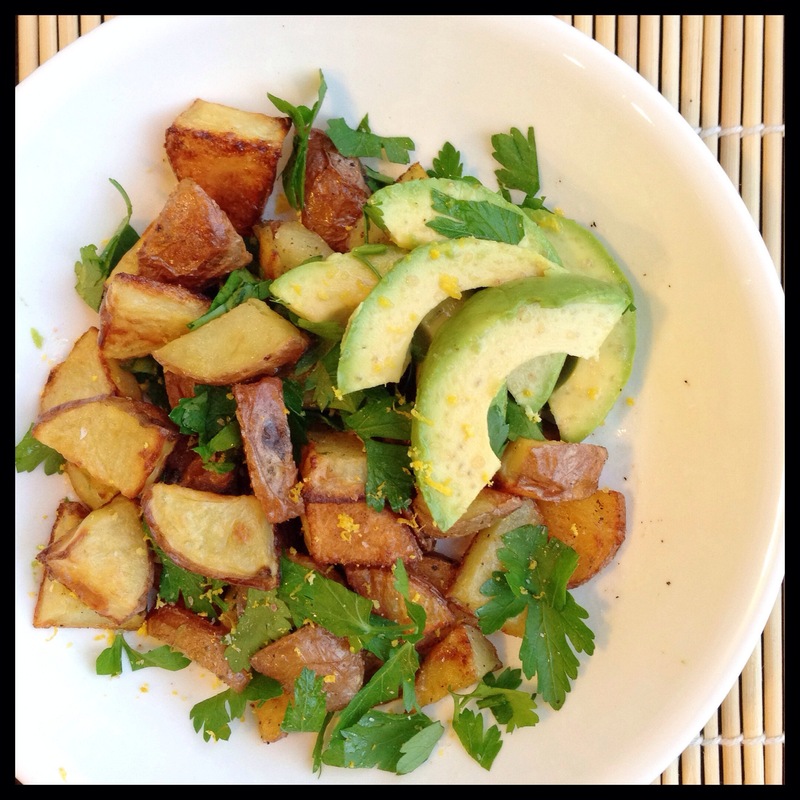 Roasted Potatoes with Avocado & Parsley. | Eat More Plants. Roast at 450 for 25 minutes and then raise the heat to broil for another 4-5 minutes. You want them to be crispy and look golden brown. Taste if you’re not sure if they’re done! Remove from the oven, gently scoop your potatoes off and pour into a mixing bowl. Mix with lemon zest, lemon juice, a lot of fresh chopped parsley, chopped avocado and fresh ground pepper. Taste and add more salt and/or lemon juice if necessary. The flavor of the potatoes is best if properly seasoned; just make sure you taste them before adding more.